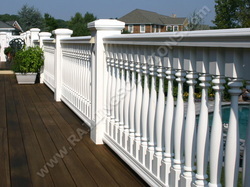 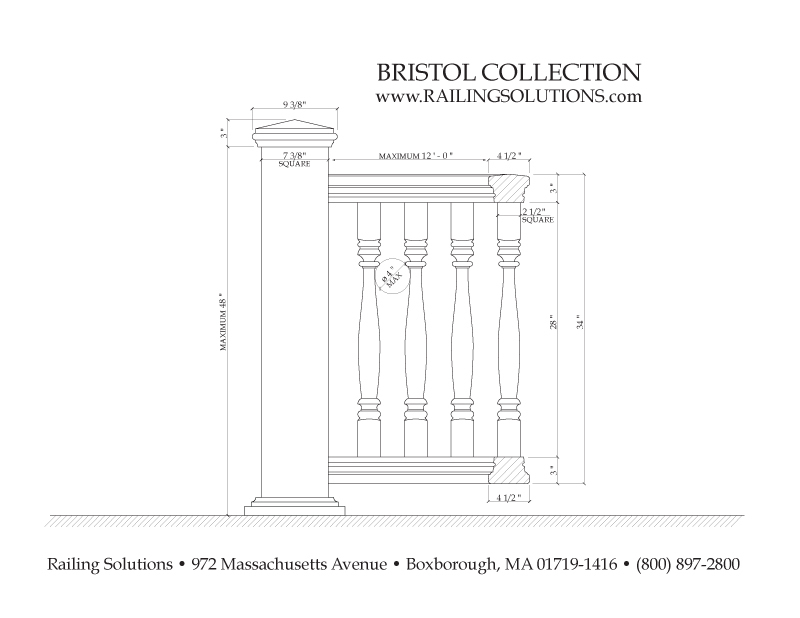 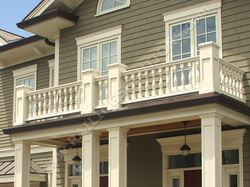 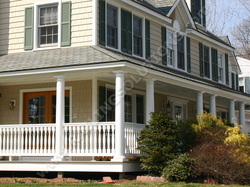 Typical New England balustrade for deck, porch and balcony. 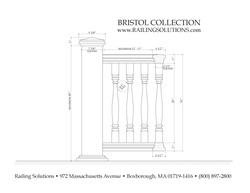 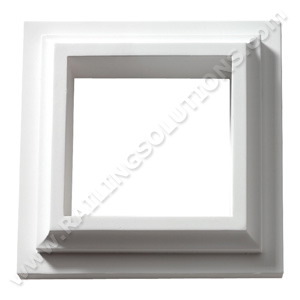 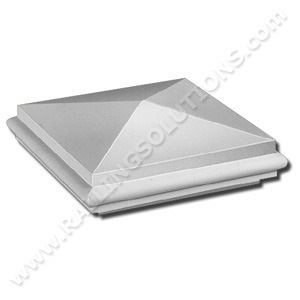 Stylish detail and understated proportions. 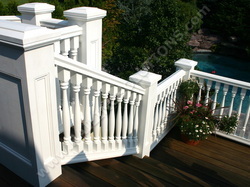 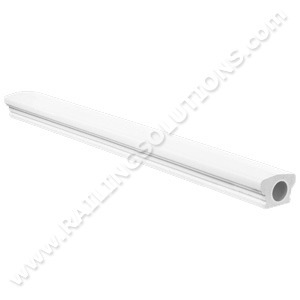 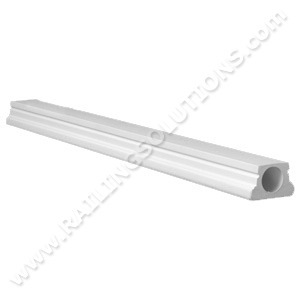 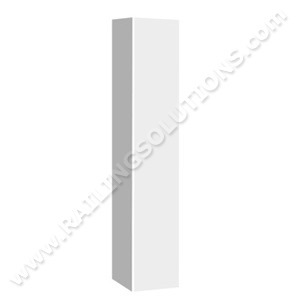 An elegant baluster with a finely detailed handrail. 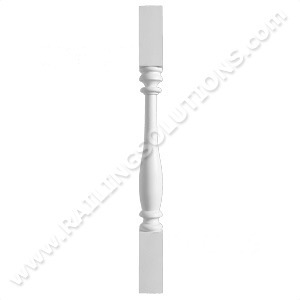 Smooth newel post with a peaked newel cap and trim collar.